Is game play king? Or was it that graphics is king? or maybe the story? Arghhh... well, regardless from which school of thought you come from, Tera online has bet most of their chips on game play. Tera's game play separates this game from the rest. The ability to deal damage without having to lock on to a single target creates a more vibrant environment where the player is constantly moving to avoid attacks and get the best angle to inflict damage. This open approach also makes it possible for action with a lot of enemies on screen, where in other games group monsters are few and in between. The Elites, or mini-bosses that are sprawled everywhere on the map also benefit from this open game play. The game play is also extremely controller friendly, with 360 controller and customization support built into the game for a real console-like action game environment. Overall, the game play is the primary strength of the game. Most attacks in MMOs need a target. As long as you have the target, the attack will hit depending on your character attributes. There is also little movement. You can kite if you have a ranged character, but you are still locked in to a target. If you're a melee class, chances are you are not moving from that spot until the target is dead, trading skill attacks. In Tera Online, it's more like an action game. There is no target, just what your weapon can hit in front of you. It can hit the intended target or another enemy, creating a mess. Or it might hit multiple enemies at once, simply because they were in the path. Making sure the target is in your line of sight and strike range while at the same time avoiding the enemy's attacks creates a lot of action. Moving constantly to hit the side or avoiding at attack, or if you're a tank, to always make sure that you are what is in between the enemy and your group. Actually not so long. It's only a minute and a half. Lots of moving around. The next video is an introduction to a starting character. It's a level 6 warrior with two skills and a standard four hit chain attack. If you're alone and doing quests, I often find it fun to turn off the HUD and play it raw (in the video the HUD is turned off after the death of the first monster. Graphically, it adds a lot of immersion but I've died a few times because I didn't know what my health was.. The game focuses heavily on your character being attacked by multiple enemies at once, sometimes dozens at a time. You get just as many area of effect skills as you do single and they are used often. In other MMOs the AOE skills are less used or emphasized, but in Tera you start using them as early as level five. In the quest system more than half the quests involve killing enemy groups so a player quickly becomes used to handling these situations. The sheer amount of instances where you are outnumbered really makes you feel like you're in an action game and not a slower paced MMO with restrictions. Initially when I started getting area of effect skills I was reluctant, simply because in other games those skills were rarely used. Now I love them, and these skills are so powerful that they are even useful on single targets. Elite monsters are incredibly powerful monsters spread around in every section of the game. Sometimes they are two or three stories high, and sometimes they look almost like a regular monsters, so more often than not I've hit a few by mistake and died for my mistake. These Elites are there for the purpose of taking them down in a group and encouraging partying. With the open fighting system, fighting one of these Elites can become chaotic very quickly. Some move fast, some have a long jump range (crushing you if they land on you), and some are slow but devastating if they catch you. Because of this, your character is never stationary. The players are constantly moving, dodging, repositioning, or looking for their teammates if they need help. With their massive reserves of health, taking some of these down can take anywhere from fifteen minutes to more than an hour. This is a baby elite. The real ones take much longer to take down. You could play the entire game on a controller. 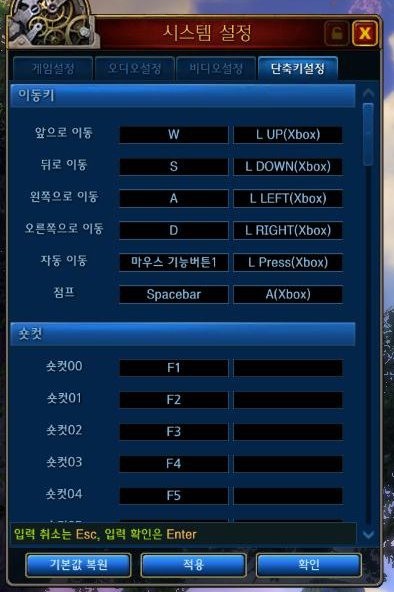 The game supports the 360 controller well, and you can customize every button to any key. Picking up items is also delegated to a key, so you don't have to right click and then select 'loot all'. The game also compensates for not having enough buttons for all the skills the player attains over time, and shortcuts are made. For example, if you use your skill dodge for a warrior, the game gives you a two second window to press what would normally be the jump button on the controller. If you press it within time, you unleash a second skill, in this case a circle slash, regardless of the skill being mapped to your controller or not. This method makes certain combination chains very easy to pull off. I once heard that closing paragraphs were a proper recap is given are for squares.. or for college papers. Please look somewhat forward to the final article on Tera Online, focusing on its shortcomings.